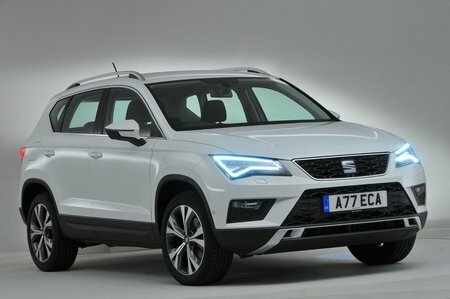 Seat Ateca 1.4 EcoTSI FR 5dr 2019 Review | What Car? What Car? will save you at least £2,604, but our approved dealers could save you even more. FR models are the sportiest-looking, coming with 18in alloy wheels, a gloss black grille, twin exhausts, body-coloured wheel arch surrounds and sports seats. You also get LED headlights, an upgraded sat-nav and a rear-view camera, as well as all the trimmings of SE.